So excited! Designer Ned Hoste has done it again and produced a fabulous cover! Ned and I met for the first time very recently, but he worked on the original cover of LOUISA ELLIOTT, for Chatto & Windus. His impact on what was to become a best-seller in 1989, cannot be quantified – but it was huge, I do know that. Way back in the summer of 1988, the cover had been in question for months. After two fully-developed ideas had been discarded by Carmen Callil as lacking sufficient impact, someone hit upon the image of York Minster as being a recognisable symbol, and key to the design. And designer Ned Hoste was approached to produce something new. What I didn’t know at the time was that Ned had gone freelance only a year previously, and LOUISA ELLIOTT was one of his first big commissions. 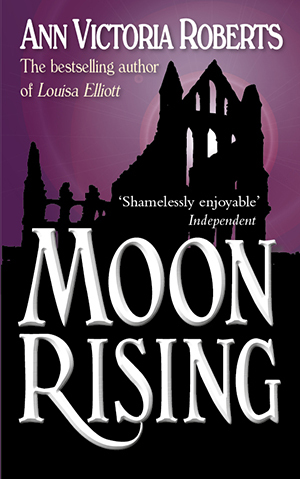 A little while later he produced a stunning blue and gold cover, with a silhouette of the Minster as the main feature, and a white rose below the title. The white rose was evocative of innocence, but it was also York’s symbol, and has been since the Wars of the Roses in the 15th century. It was simple but clever – and very effective. At Chatto’s Sales Conference in September – held in York that year – LOUISA ELLIOTT with its new cover was rapturously received. A month later came the Frankfurt – the biggest and most important book fair in the world. Carmen Callil wrote to tell me that everyone in Frankfurt was talking about the book – that after struggling to gain interest in what she saw as an important novel, everything had changed with that glorious blue and gold cover. Don’t judge a book by its cover? But we all do, don’t we? It’s that all-important cover image – and the title – which determines which book we take off the shelf. So I have Ned Hoste of 2Hdesign to thank for the tremendous success of my first novel. And it was his name which leapt out at me when a member of my local book group casually handed me a paperback and said she thought I might be interested. It was the story which had appealed to her – but it was the cover of BENEDICT’S BROTHER, by Tricia Walker, which caught my attention. I looked to see who had published it – and was surprised to see that it was an indie press, the address in York. Not just York – my birthplace, the setting of my first novel – but in the next street to a relative of mine. How strange, I thought. But with sudden astonishment I saw the designer’s name at the foot of the page – Ned Hoste! 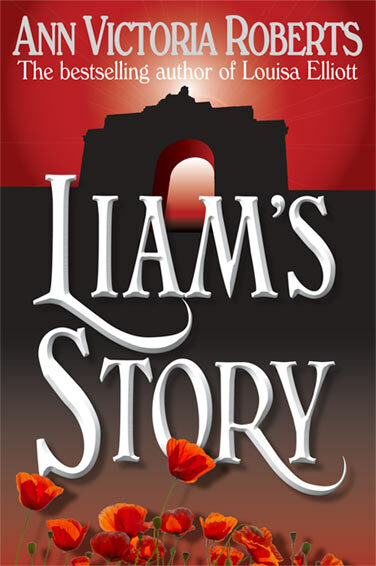 Well, I thought, there cannot be two – and at once decided that I must get in touch and ask him to design the cover of my latest novel which was then, in early 2011, coming to its conclusion. He agreed and we discussed the project on the phone. 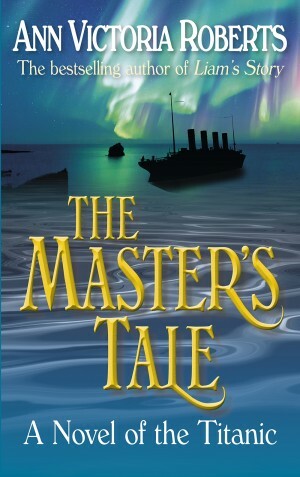 Ned produced the stunning cover for THE MASTER’S TALE, which features a blue sea and the ghostly figure of TITANIC’s Captain Smith looming out of the waves. Again it was a simple image, conveying the story in exactly the right way. In conversation, I was even more surprised to discover that Ned had relocated to York. After the on-going stream of coincidence attached to LOUISA ELLIOTT and LIAM’S STORY, it was another to add to the list. It made me smile. I did not know then that I would be re-publishing both books just a year later. 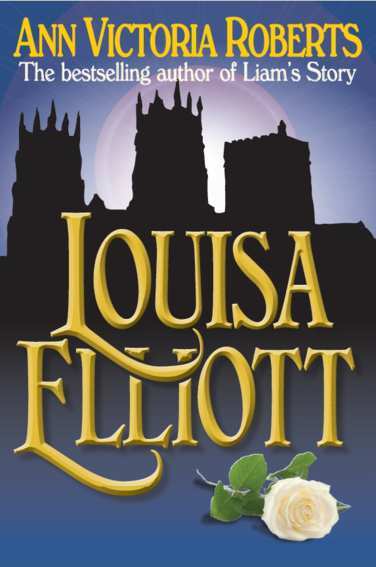 And now the ebook conversion file of LOUISA ELLIOTT has just arrived, and Ned Hoste has re-worked the original cover. I love it! All over again. I hope you will too. Great story, great covers Ann! I too was delighted by the atmospheric cover Robert Hale came up with for The Water Doctor’s Daughters; has created quite a stir already. I think covers and title are really important.